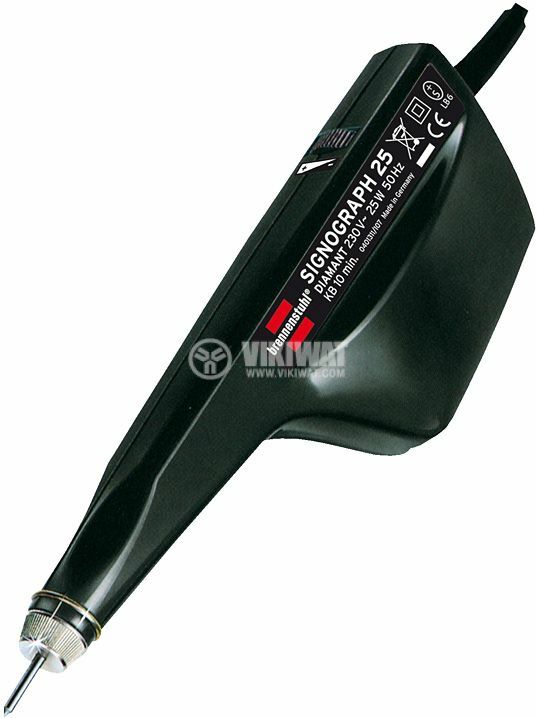 Universal electric engraver from german brand Brennenstuhl with diamond coating on the end suitable from soft to extra hard materials.Cable length 1.8m. Two forming heads for soft metals such as copper, tin and aluminium. Signograph 25 diamant-det. Made in Germany. This electrical engraver from Brennenstuhl is suitable for any material from soft to extra hard. It is extremely precised and easy to use.